Tesla, the electric car company, is unveiling record-breaking production cars. The newest entrant is the Tesla Roadster. Tesla Roadster is a really stunning car having mind-blowing performance and design. So from the design point of view, it’s really a head-turner. The roadster is quickest car in the world with 0-60 mph in just 1.9 seconds. The car has a top speed of 250 mph. However, the quickest car in the world is not only the quickest but also has an unbelievable range of 620 miles. Tesla is equally known for its efficient aerodynamics. In roadster, the Tesla engineers have rethought about aero efficiency, taking it to an all new level. From the exterior, it looks really stunning and aero efficient. The clear lines across its length reduce the drag. They also help to gain speed with minimal air resistance. The glass roof is lightweight and removable. As a result, you can also store it in the trunk to get the feel of the convertible. Thus, you will get the open-air driving experience. Furthermore, The roadster interiors are sophisticatedly built without compromising the quality. 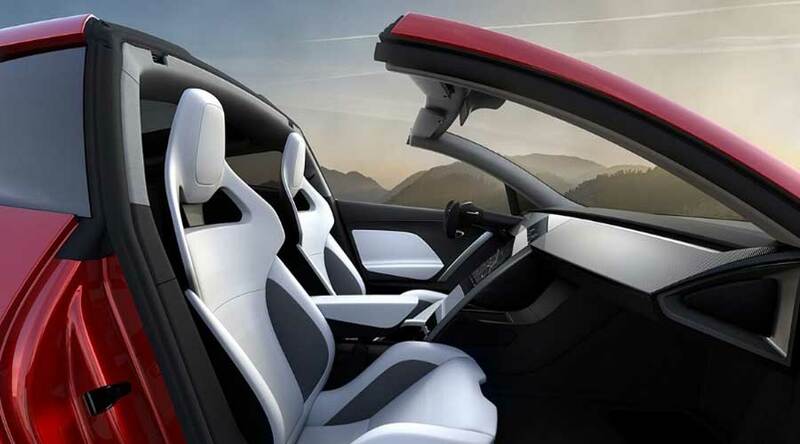 One more most noteworthy thing about Tesla roadster is its seating capacity. Although being a Roadster, it is four-seater. Generally, all roadsters have the seating capacity of two but Tesla Roadster is an exception as always. As we already told you roadster is the stunning performer and really it is. It can go from 0-100 mph in meager 4.2 seconds. The car has 3 motors and it is an all wheel drive too. Consequently, the roadster produces 10000 Nm of Torque. In addition, Tesla provided a long range to this car. So, Tesla equipped the roadster with 200 kWh of a battery pack. The car has capacious storage as it has no noisy traditional combustion engines. Extra luggage capacity makes this car equally capable of long distance touring as well. The car is available from 2020. Although its long time, you can pre-book the roadster. The base price of the roadster is $200,000. For base reservation, you need to pay $50,000. The price of the founder series is $250000 and its reservation price is $250,000. Only 1000 founder series reservations are available. 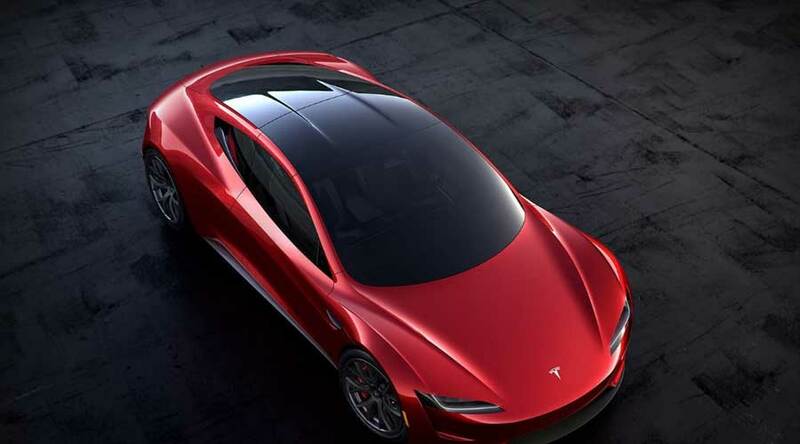 In conclusion, Tesla has set a new benchmark in the roadster segment with its record-breaking car. Tesla Roadster is remarkable when it comes to design, efficiency, and quality. We have no doubt this roadster will create a new wave in the electric car industry.